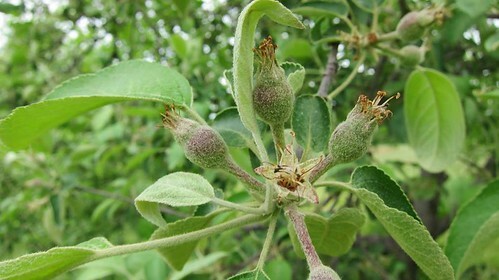 Farm News | | Southwest Michigan's finest Certified Organic apples and award-winning apple cider. What’s that growing out in the orchard? Looks like, could be, no way….APPLES!!! Yippeee – we are getting ready for an apple harvest!!! 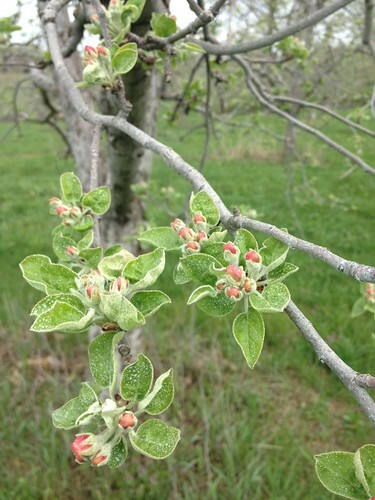 We have survived spring and June drop and we are so excited to see a nice crop of good looking apples in the orchard! Happy Earth Day! We had a great Earth Day today, planting trees! Redhaven peaches, donut peaches, sweet and tart cherries, 3 kinds of plums and many heirloom apples in our new and improved u-pick area – about 400 trees in all. I think we’ve all heard now that this is one of the worst seasons for fruit in Michigan’s history. It’s true. The warm March set us up for a strange year. 90 degree days in March pushed our trees into bloom starting March 31. We were flowering a full month earlier then I have recollection of, and 5 plus weeks earlier than normal. Than we were hit with 4 good freeze events in April, which is normal, and lost most of our bloom. But we remained hopeful. Then mother nature threw in one of the worst droughts in recent history and high, high temps to boot. And yet we remained hopeful. But the hope has run out for this year’s apple crop. We prepared last week to pick our first variety, Paula Red. A “normal” yield for us would be 35,000 pounds. This year we picked 700. And they look awful – ravaged by the difficult weather and abused by the insects (“it must be funny or else it would hurt” side note: when the apple crop is short, no one sends a memo to the insects – just as many hatch in a short year as a bumper crop year, so in a short year there is less food, which results in more damage per apple). As a result, we don’t have enough apples to make our first CSA delivery, or really any other delivery. 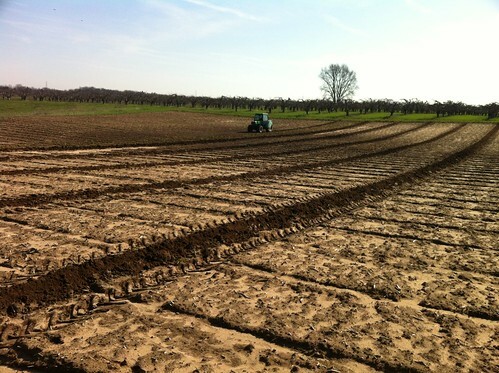 It’s not uncommon for us to contact our organic apple friends in Michigan to supplement our crop. This year, no one has apples. My friends are now starting to talk with Washington about importing apples. In what is a difficult decision, I would rather suspend our CSA and tree leases for the year then buy apples from Washington to deliver to you as part of your “local” apple crop. I hope you would agree. 2. You can opt to roll your 2012 CSA or tree rental into 2013. In other words, we will sign you up as paid for 2013. Please let us know below what your decision is. We deeply apologize for getting your hopes up for our yummy, organic apples. We are all disappointed to be reminded, again, that we are not fully in charge. Farming is quite an adventure. We do have some exciting news to share with you. We have purchased a majority interest in one of Chicago’s coolest, veg-friendly restaurants: The Heartland Café in Rogers Park. After a year and a half of discussions, and several gut-check moments, we took the plunge effective June 13. Heartland is now the city restaurant for Earth First Farms, featuring many of our certified organic fruits and vegetables! Sometimes we are lucky and blessed, and given the weather-driven curve ball we experienced this year, buying the Heartland has given us renewed energy and excitement. We have now built a greenhouse and (thank you, Gonsalo!) built an irrigation system for our vegetables – we couldn’t dodge the freeze, but our irrigation helped us dodge the drought. 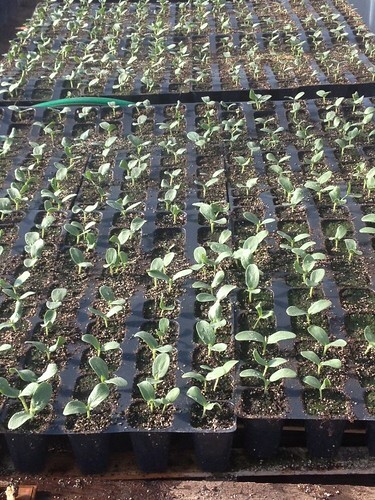 Next year we will utilize the Heartland as a drop for our CSA. Starting now, you can now place bulk orders for vegetables to be picked up there. We hope to see you at The Heartland so you can sample the new farm cooking. As a CSA member benefit, we will be sending you a buy one / get one free meal coupon via email. Come see us soon!